After releasing No Cross No Crown to kick off 2018, Corrosion of Conformity have now announced plans to open the new year on the road with a North American headlining tour. 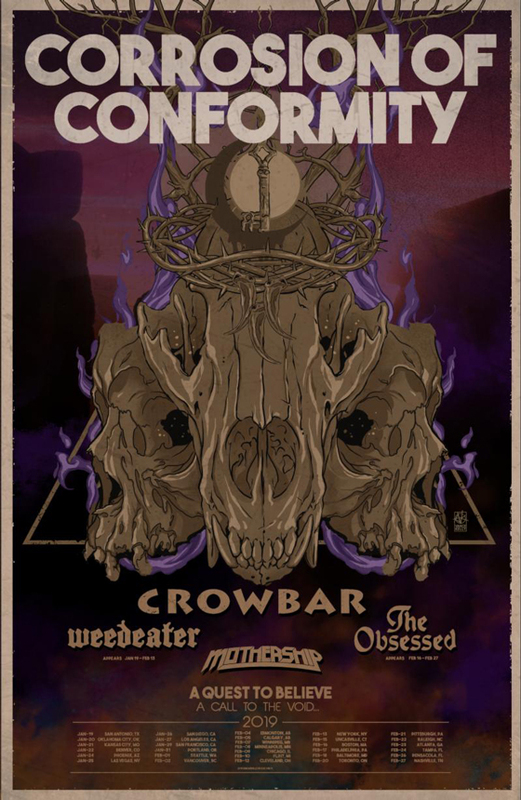 The 30-date run will feature support from Crowbar and Weedeater from January 19 through February 13, while the Obsessed and Mothership will handle support duties from February 16 through 27. Four Canadian dates will bring the bands north of the border in February, with stops set for Vancouver, Edmonton, Calgary, Winnipeg and Toronto. Tickets for all dates go on sale Friday (November 9) at 10 a.m. local time.